Do protected areas of India’s Western Ghats conserve fish diversity? Home > Our Projects > Supported Projects > Do protected areas of India’s Western Ghats conserve fish diversity? Protected Areas (PA) designed to preserve charismatic species have been recently challenged in their efficiency in conserving more obscure species like freshwater fish that are not initially taken into account. 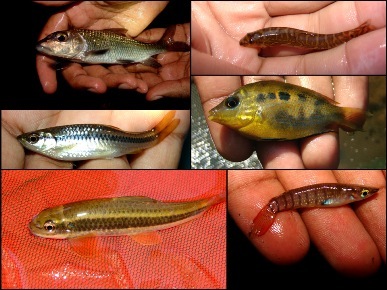 In this study, we aim to assess the PA network’s effectiveness in preserving stream fish diversity in the biodiversity rich Ashambu Hills landscape in India. This will involve comparing sites inside and outside PAs and identifying covariates that influence fish communities. The results and a Gap Analysis for distribution of freshwater fishes will lead to recommendations to PA managers, discussions in peer-reviewed journals and will be used to encourage dependent local communities, students and NGOs to appreciate and participate in fish conservation.